Not all hats are created equal. 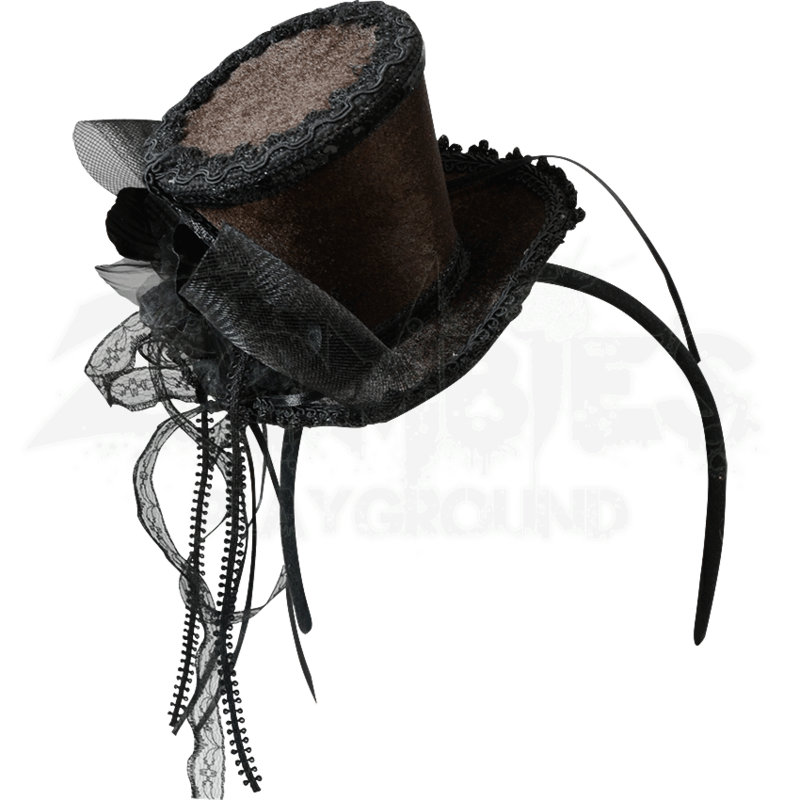 Take, for instance, this Brown Steampunk Headband Hat, which is a miniaturized top hat that perfectly embodies classic Steampunk style, making it a great addition to virtually any Neo-Victorian styled look you own. This hat is made from brown-colored shimmery stiff fabric, and the hat itself features a decorative bow tied at one side, while also possessing a black hat band and a length of seductive French veil netting. As its name implies, this hat is attached to a headband, which extends out from the interior of the hat, ensuring that this accessory stays securely in place while you look thoroughly and completely stylish. 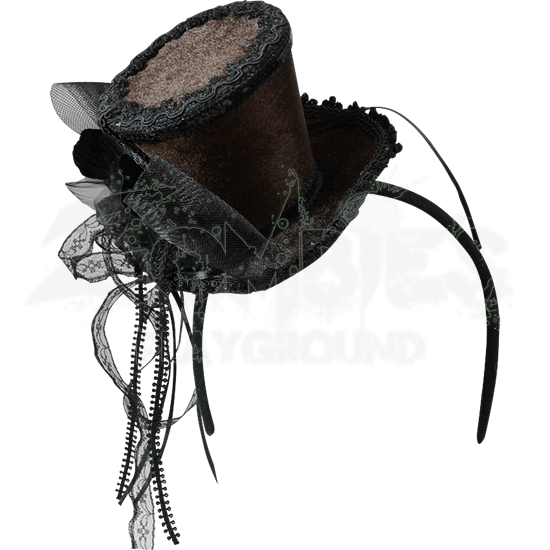 As a leading example of neo-Victorian industrial fashion, this Brown Steampunk Headband Hat is the ideal little accessory to wear whenever you want to show off your adventurous and innovative Steampunk style.